Hamilton May presents an entirely finished, detached house, located on a beautiful and well kept plot. 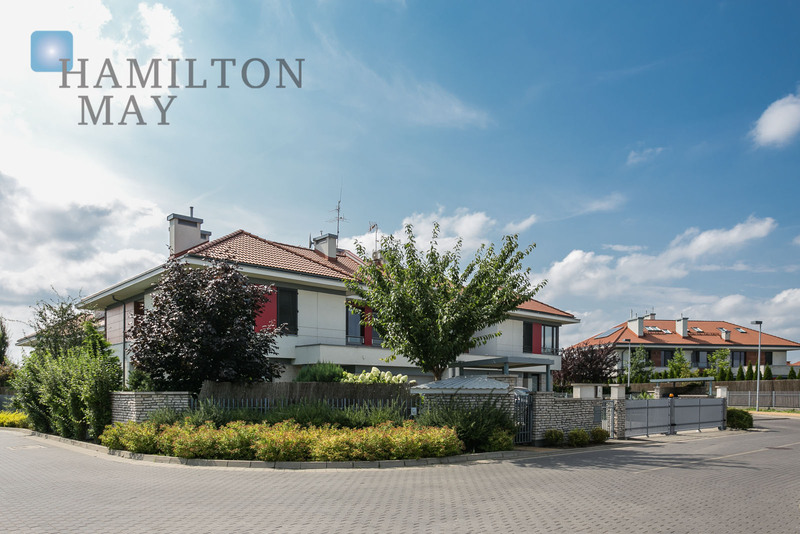 Hamilton May presents a house in a prestigious estate Konstancja, situated right next to the American School. Hamilton May presents a detached house for individual finishing. Hamilton May is pleased to present a unique, extremely bright and spacious house available for sale - ideal for families with children or couples looking for vast and bright interiors. Hamilton May presents a house available in a prestigious estate situated right next to the American school. Hamilton May Real Estate specializes in high standard properties located mainly in the city center, however our listing includes also houses located in prestigious residential areas and in the most desired neighboring locations. Houses that Hamilton May offers for sale are located in the most prestigious locations in the city (Stary Mokotów, Saska Kępa, Wilanów). They include both new houses built in recent years, as well as old, often modernist houses that have undergone renovation. Our offer also includes houses for sale located in trending, neighboring areas (Konstancin-Jeziorna, Walendów). Please contact Hamilton May for more information on the current market for houses to buy in Warsaw and surrounding areas.